The benefits of a good, well-prepared meal cannot be overstated. Fresh ingredients and delectable recipes strengthen body and spirit at Teal Lake Senior Living. Whether you choose to dine among friends in our gracious and well-appointed dining room, or enjoy a quiet dinner in your private living space, you’ll appreciate nutritious, delicious dining every day. 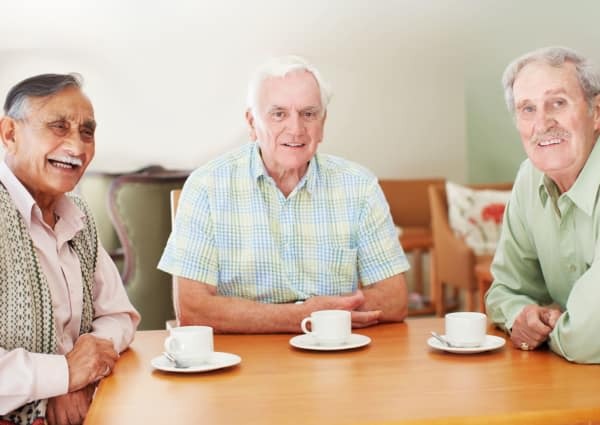 At Teal Lake Senior Living, we understand that everyone has different tastes and preferences, and we are able to cater to special requests. Our dining room offers restaurant-style dining with daily specials for lunch and supper. We have an “always available” menu if you don’t like the daily special, and breakfast is made to order from 6am-9am. In addition to our dining room, we have a private dining area for more formal occasions with special visitors. Come and go as you please during dining times, and don’t hesitate to ask for seconds! We aim to please.